The Canadair Challenger 604, a development of the Challenger 601, features improvements which include a greater fuel tankage and range, a modern avionics system with color displays and an increased cruising speed. Equipped with a full lavatory, the Challenger 604 is able to service up to thirteen passengers. The Challenger line, beginning with the Challenger 600, has seen nothing but improvements in its next models, and the Challenger 604 is no exception. Equipped with a glass cockpit and maintaining the spacious cabin that the Challenger 600 introduced, it is no wonder that the Challenger 604 is a favourite for pilots and passengers alike. A deluxe galley and an enclosed full lavatory are much appreciated accommodations. Like its predecessors, the Challenger 604 incorporates a super critical wing design, keeping vibration and noise levels in the cabin low. As what has come to be expected from the Challenger line, the Challenger 604 offers a wide-body roomy cabin, measuring 28.4 feet long, 8.2 feet wide, and 6.1 feet tall. This walk around cabin design is considered especially valuable if your endeavor requires a long trip and with a maximum range of over 4,000 nautical miles, this private jet is a popular choice for such flights, especially when its intercontinental range is taken into consideration. This aircraft has fourteen windows surrounding the cabin, which is perfect for a relaxing view and for allowing enough light to work en route. While some configurations of this private jet allow for nine business class seats, the Challenger 604 is usually configured to seat ten to twelve passengers. However, this private jet can be arranged to provide higher density seating for up to nineteen. No matter which configuration you decide on, with 115 cubic feet of internal baggage space, passengers will have no problem finding room for their belongings. 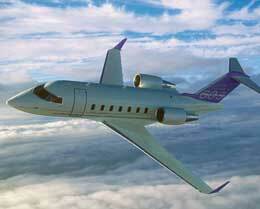 This business jet has two General Electric CF34-3B engines with each providing a rated 8,729 pounds of thrust. These upgraded engines give this aircraft a slight boost in pounds of thrust when compared to its predecessors. Needing only 4,750 feet to take off and 2,358 feet to land, the Challenger 604 allows for many international airport options. 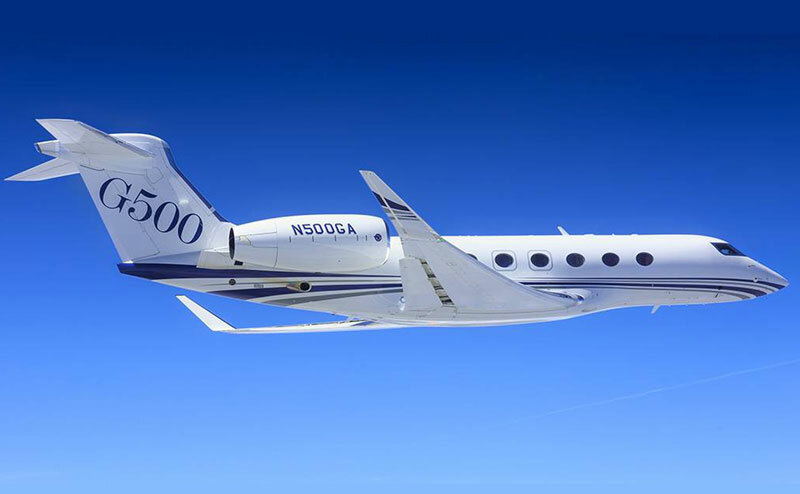 This private jet can carry out its long range cruise configuration at its service ceiling altitude of 41,000 feet, maintaining an airspeed of 436 knots. If high speed cruise is more the focus of your flight, the Challenger 604 can cruise at 468 at an altitude of 39,000 feet. The Challenger 604 consumes only 289 gallons per hour, making it an attractive option from an economical view point. This aircraft consists of a modern Collins Pro Line 4 glass cockpit. Six 7.25 inch screens show left and right primary flight displays, multifunction displays and EICAS. The avionics suite also includes upgraded features such as flight director and autopilot systems, digital air data computers, turbulence detection radar, HF-9000 high frequency radios, and dual Pro Line 400 all-digital interface radios with Comm, Nav, and Ident features. All these features and avionics contribute to a comfortable flying experience. As an added commodity, this private jet is certified for Cat II operations. 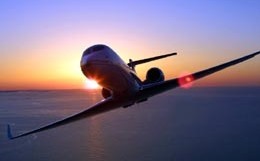 For more information about chartering, leasing or buying a Challenger 604 please contact us by calling +44-20-3874-8091 or send us an email here.